5 Fold’s Reaction to Keith Green’s “Asleep In The Light” Again Comes To Light! Evangelist: Keith cried out, “Do you see, do you see all the people sinking down? Don’t you care, don’t you care are you gonna let them drown?” General Booth, founder of the Salvation Army responded to this cry with a great evangelistic endeavor in 19th & 20th centuries, but how should the Church address it in the twenty-first century. What should be the “evangelistic drive” to win the lost? How can the church change the “come into our building” mentality to the “being sent out” one? Pastoral: To the pastoral, Green pleaded, “Oh bless me lord, bless me lord,” you know it’s all I ever hear. No one aches, no one hurts, no one even sheds one tear, but he cries, he weeps, he bleeds, and he cares for your needs. You just lay back and keep soaking it in. Oh, can’t you see it’s such a sin. Cause he brings people to your door, and you turn them away, as you smile and say, ‘God bless you, be at peace,’ and all heaven just weeps ‘cause Jesus came to your door and You’ve left him out on the streets.” He warns, “You just lay back and keep soaking it in. Oh, can’t you see it’s such a sin.” Wow, harsh words, but he is questioning who is to “care” for the “careless”, “homeless”, hurting, widows, elderly, etc.? In my last few blogs I have even thrown out the questions “Who is my brother’s keeper?” As the American government is cutting services due to budget cuts, it is the Church’s responsibility to step up and display the Shepherd Jesus is. Teacher: To the American church known who is known for its abundance of spiritual Christian teachers Green sang, “How can you be so dead when you’ve been so well fed?” Is the American church just being “hearers of the Word,” but are lacking being “doers of the Word” in spite of all the good teaching. American Christian teachers need to reexamine their techniques of teaching, assessing its effectiveness, and be open to teach through “experiences.” Actual “on hands application,” doing it, could be more effective than just the sermon, preaching, lecturing approach the church has used for centuries. Prophetic: Jonah, God’s prophet, was called to evangelize Nineveh. At first he fights his calling, then flees his calling, and is swallowed by a whale. 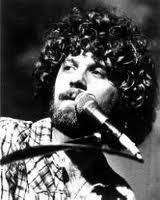 Keith Green cries out to today’s prophets, “You see the need, you hear the cries, so how can you delay? God’s calling, and you’re the one, but like Jonah you run. He’s told you to speak, but you keep holding it in, oh, can’t you see it’s such sin.” The prophet learns to “listen” to the Holy Spirit. When the Holy Spirit gives revelation and tells the prophet to speak, he better be obedient and speak, or it’s sin, for he has missed the mark. The Rhema, living Word, must be beside the Logos, the written and proclaimed Word, if the church is to again be effective. Apostolic: To those who “see over” the church, the leaders Green cries, “How can you be so numb, not to care if they come? You close your eyes and pretend the job’s done. You close your eyes and pretend the job’s done. Don’t close your eyes, don’t pretend the jobs done.” The job is not done; it has only begun. There is so much to do. Church leaders should feel overwhelmed, needing the guidance of the Holy Spirit, than feel confident, sitting back, feeling everything is OK; everything is status quo, and you keep just doing what the church has just been doing for decades. We got the challenge from the prophetic voice of Keith Green over thirty years ago, but how have we replied? Doing the same old, same old? I have heard that “insanity” is defined as continuing doing the same thing over and over when you know it won’t work.” Keith is crying out to stop the “insanity” in the church. Let’s be open to retooling, renewal, rebirthing, redoing, and relooking at what we, the Church, has been called to do, and find new creative ways to do it under the guidance of Jesus’ precious Holy Spirit. I too support Keith’s cry against the church’s “insanity”, and ask you to be open to what the five fold can do to bring maturity into the lives of Christians to be more like Jesus, to equip these saints for the work of service, and to bring unity to a fragmented body, the Church. Quite a challenge! Join me in my walk, my journey, as we look at how the five fold points of view and passions can be an effective tool to the body of Christ. How will you and I respond? Newer PostEaster Sun Rise & Resurrection Hope 2011! 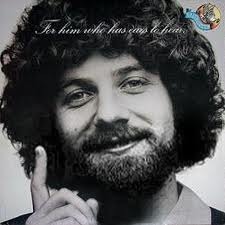 Older PostKeith Green’s “Asleep In The Light” Again Comes To Light!